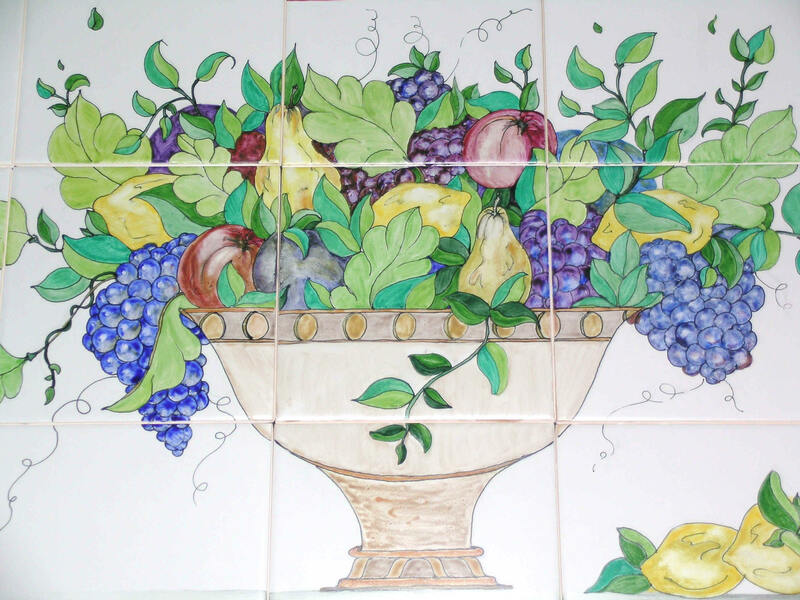 Ceramic tile murals are custom designed and hand painted by tile painting artist, Mimi Ross. Each tile mural is created specifically for the individual clients with their input on subject matter and color. Tile murals are perfect for kitchen back splashes, bathrooms, etc. Because the hand painted tiles are kiln fired, the murals are permanently adhered and can be installed indoors and out. As I am not commercially associated with any of the sites on my link pages I can not guarantee the quality of their products. Tile murals, hand painted ceramic tiles, decorative tiles and art tiles for kitchen, backsplash or bathroom. 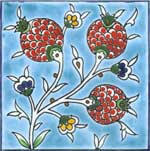 Tile artist for custom painted tile, ceramic murals, accent tiles and tile art designs. Mimi is currently booked 6 months out. All images copyright Mimi Ross 2000-2013. All rights reserved. The mission of Tiles by Mimi is to custom design and create exceptional hand painted ceramic tile murals for homeowners and decorators who seek original fine art to bring personality and distinction to the home.